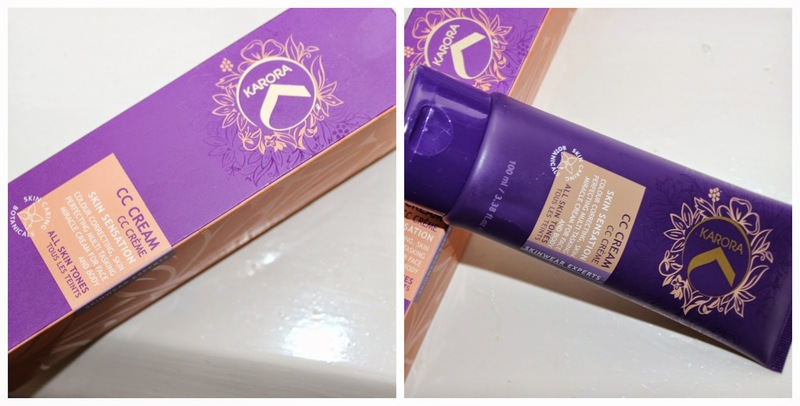 Have you heard of the Karora CC cream? 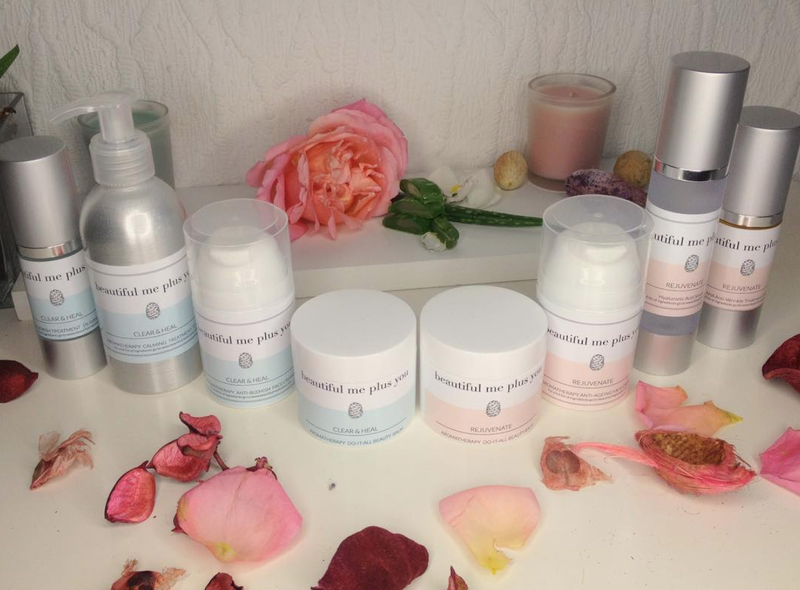 If you are looking for an alternative for a self-tan then read on! Karora CC cream is a first-to-market colour correcting camouflage (skincare + makeup) for face and body (legs, arms and décolletage) with a formulation that offers waterproof and transfer resistant coverage for red and blotchy skin, acne, spider and varicose veins, stretch marks, bruises and cellulite. The formula evens out skin tone and enhances natural color, so imperfections naturally disappear under the cream's lightweight matte finish. Suitable for all skin types. Not only the CC Cream gives you a healthy color to your face and your libs, its also blended with skin tone correcting botanicals of green tea leaf extract, jojoba seed oil, argan oil and acai berry to rejuvenate the skin. Skin tone-correcting botanicals provide long-term correction and a hydration injection so an all over even flawless skin finish and improved textures is achieved. You gotta love multi-tasking products, especially the ones with the anti-ageing benefits. You can see the pigments mixed with the cream. I usually hate self -tan products - there I said it, so shoot me, but I really do. Because they never do what they are supposed to do - give me that healthy sun-kissed look everyone wants, is that really to much to ask for? Instead I always end up looking like I've have bathing in carrot juice for days - orange and muddy! And the worst part is when the color starts to wear off, you might think I was showering in the dark and had missed few spots with the bath sponge. Good news is, that hasn't been the case with the Karora CC Cream - the color applied evenly like a dream and stayed in place all night. Equally, it washed off next day, no problem; there were no tan patches to be seen. 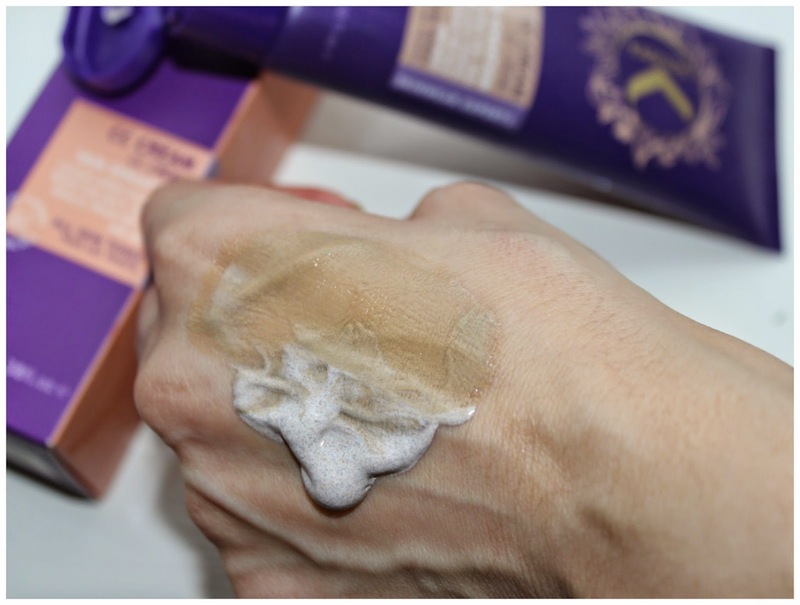 The cream also contains tiny shimmer particles that give the most beautiful sheen to the skin. Karora CC Cream is just that I want in any sun-tan. Face: apply a tiny amount of cc cream to moisturised skin and blend in gently to ensure even coverage. Body: apply directly onto mitt and apply in long sweeps blending into skin to ensure even coverage. I really love the Karora CC Cream, yes the price €24,99 for 100 ml is slightly on the expensive side, but if you get spray-tans on regular basis it would work out cheaper. This is a instant tan for girls who don't like self-tan, like myself! And a perfect solution for a last minute tan if you can't book an appointment anywhere. Highly recommended. Available at: Lloyds Pharmacies, Sam McCauleys, McCabes and pharmacies nationwide.